If there is anything to be said about Riona, it is definitely that is a calm, old-soul. She is around 4 years young, and has had two or three litters of puppies in her former Texan life. 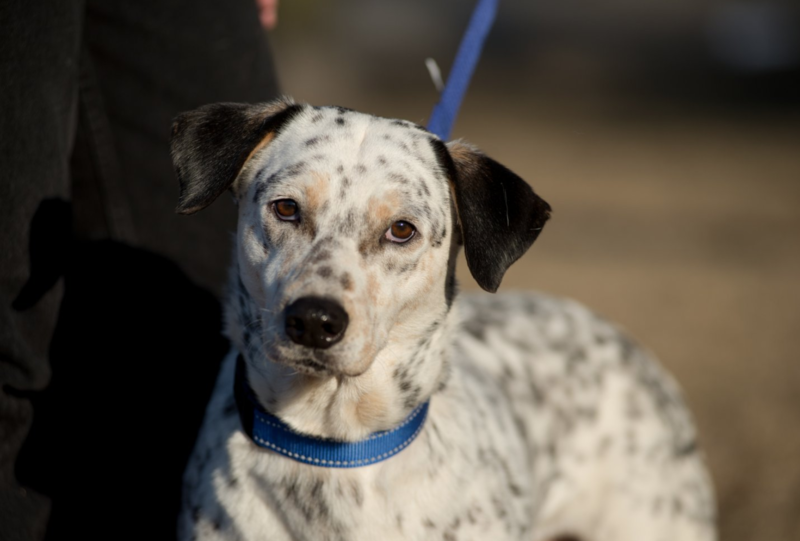 She is gentle and calm, affectionate and shy, and sticks to her foster mom’s side when out and about like a shadow. 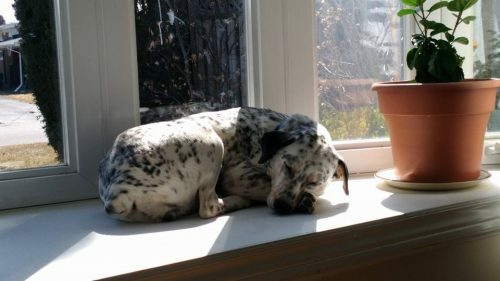 While in the home, she is independent and quie; she loves her crate as her safe space, and is happy to find a sunny nook or ledge to nap on. Riona is cautious of most things, but has been coming out of her shell and becoming much more confident with her foster-brother’s and foster-parents support! Being a shy and timid dog, she shy’s away from big groups of people or dogs, but is happy and friendly to play one-on-one. Given her demeanour, with some encouragement she will continue to grow and build her personality! She’s got just as much energy as you’d like her to have, with a preference for snuggling and taking naps in the sun. Riona is crate-trained and house-trained; though her foster family does not crate her while they are out, and she has access to the whole home and has not been destructive at all. She welcomes her Foster Mom home with energy and excitement, and is quick to ask for more pets! We think that Riona would do well as an only dog (with outside socialization), and also to a home with a dog with a relaxed temperament as well. She does like to play and is food motivated as well! Need a little more zen in your already zen space? Apply to adopt Riona today! Please read our adoption policies before applying!